Despite the current air of pragmatism, Lebanon’s government will remain fractious. After two years without a president, the recent election of Michel Aoun has ended a political stalemate in a historically divided country. 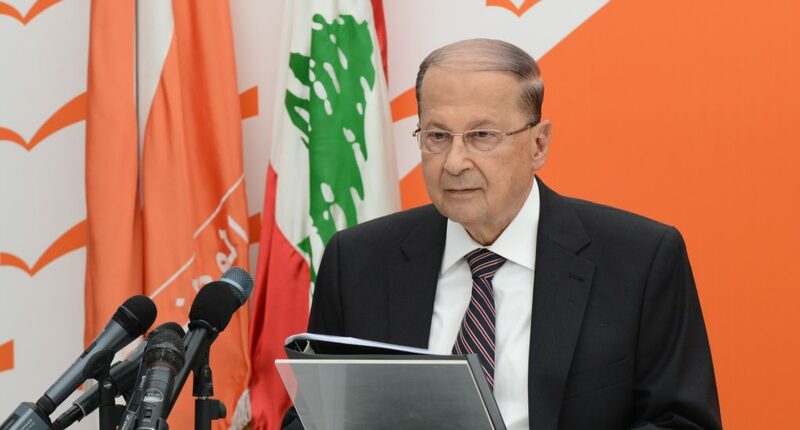 Aoun, a Maronite Christian, has not only won the support of Shi’a allies in Hezbollah, but has also secured the key support of Saad Hariri, the leader of the opposition. Hariri, a Sunni and former prime minister, has been re-appointed to the position under Aoun. But ongoing sectarian and political divides, inflamed by vying Iranian and Saudi activities in Lebanon, threaten to undermine this image of unity. While Aoun’s pre-existing relationship with Iran will draw Beirut closer to Tehran, the country will still be at the mercy of its many political divisions. The new government must navigate spillover from nearby conflicts, renewed pushes by Saudi Arabia to regain influence, and a population tired of the political stalemates that characterise Lebanon’s establishment. Protests against government dysfunction in 2015. Photo: Mohamed Azakir/Reuters. 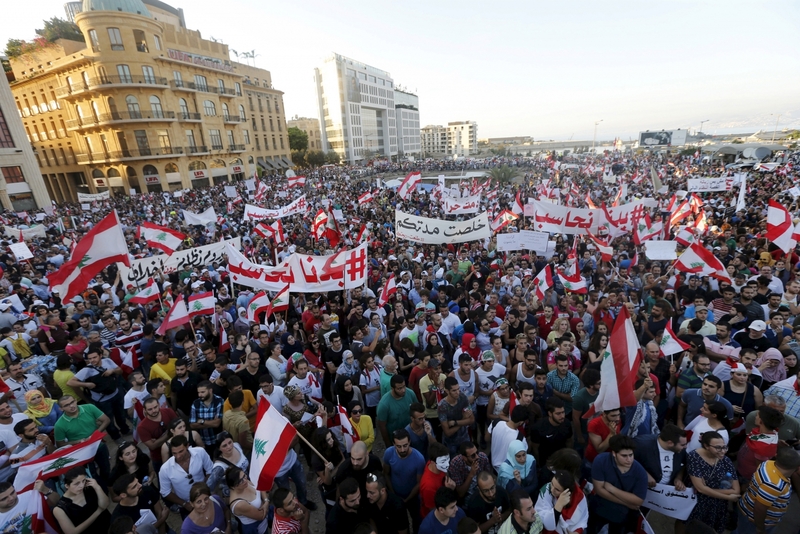 Regional instability, corruption, and widespread economic problems have led to a rise in dissatisfaction with Lebanon’s two main coalitions: the pro-Syrian March 8 alliance, led by President Aoun, and the anti-Syrian March 14 alliance, led by Prime Minister Hariri. Although the two coalitions overcame their differences to elect a president, the new government will have considerable difficulty addressing the country’s problems without encountering the sectarian disputes that define Lebanese politics. A combination of diametrically opposed parties, Michel Aoun’s government could be described as a union of reluctant necessity. Hariri and his allies only turned to support Aoun after a public backlash driven by the two-year presidential stalemate and mismanagement at recent municipal elections, in which there was a swing against establishment sectarian parties. While this was an ideological compromise for many within his coalition, Hariri’s support for a Hezbollah-backed candidate is a deeply personal compromise – Hezbollah and Syria were likely behind the 2005 assassination of his father. However, some March 14 members have remained opposed to the decision and it’s unclear if ending the unpopular stalemate will stop the coalition’s dwindling popularity. Their ongoing cooperation is far from guaranteed. With members of opposition coalition petitioning for influence, negotiating Hariri’s cabinet appointments will be the first big test for the new government. Reflecting the first of many obstacles to be overcome, Hezbollah has already vetoed a bid by the Lebanese Forces, a March 14 party, for key portfolios. While the likelihood of a cross-coalition cabinet will make for a more inclusive government, the polarising views of the parties involved will make meaningful government-wide reforms difficult to achieve. In such a fractured state, Lebanon’s domestic issues are not easily separated from regional ones. While Aoun’s election has brought the country into Iran’s sphere of influence, the deep sectarian divides among party and people still leave Lebanon vulnerable to outside influence and intervention. Syria’s once considerable power over Lebanon has diminished significantly with its civil war, but this presents new problems. Spillovers have been common and sectarian groups have found themselves supporting opposing sides in the conflict. Sunni groups have been supportive of Syrian rebels, with Hariri himself being accused by Syria of supplying financial aid to rebels. Hezbollah has taken a noticeably more involved approach and has military forces in Syria supporting Assad. These divisions, which are likely to continue under the new government, will likely increase the risk of further spillovers. Conversely, Hezbollah’s actions have the potential to draw in foreign intervention against the Lebanese state. Aoun’s inclusion of the group signals mainstream legitimisation of its military efforts against outside forces, such as Israel. The new president has also stated the need for resistance against Israeli occupation of contested territories. 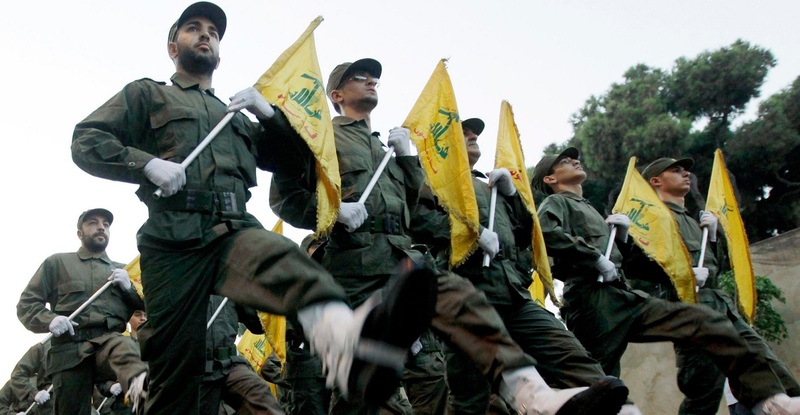 If other states perceive this as tacit state approval of Hezbollah’s actions, the group could risk escalating a conflict between Lebanon and one of Hezbollah’s adversaries. 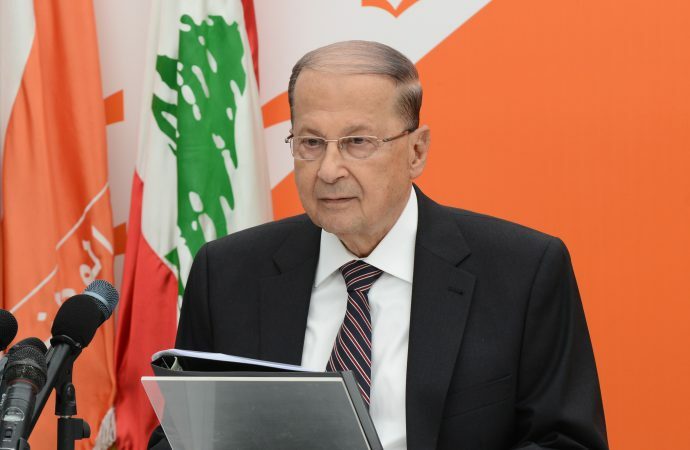 Aoun’s government will have to manage conflicting international interests. While the recent elections reflect a growing shift towards Iran, Saudi Arabia will continue to exert influence over the country as part of their decades-long struggle for regional dominance. Over the past year, Saudi Arabia has lost influence in Lebanon. Hariri, once considered a close ally of the Saudis, has seemingly turned against them. His inability or reluctance to promote Saudi interests – earlier this year, he was unable to convince the government to condemn attacks on Saudi diplomatic missions in Iran – has led to a cooling of relations between Hariri and Riyadh with the latter reportedly “reassessing” the diplomatic relationship. Hariri’s decision to support a pro-Iranian presidential candidate has only tarnished relations more with Riyadh. In any case, Saudi Arabia will be unhappy with the current state of affairs. Riyadh’s assertiveness in its regional struggle against Iran has only grown under the new king, most notably in Yemen. While Riyadh is very unlikely to consider military action, this assertiveness may translate into exploiting divisions within Hariri’s March 14 alliance. Riyadh is likely to use trade or aid incentives to lure support from Lebanon’s Sunni parties, as it has done in the past. Lebanon’s economic woes and refugee burden will make such offers hard to refuse. Finally, while Lebanon is now closer to Iran, this trajectory is not guaranteed in the long-term. Hariri’s pragmatic choice to support Aoun could change if he feels his coalition’s support base is becoming disaffected, or if he seeks to rebuild his relationship with Riyadh. Likewise, Aoun’s maverick personality, history of switching allegiances, and ties to a large Maronite community cast uncertainty over his allegiances with Iran and Hezbollah. Ultimately, domestic politics is likely to remain fractured in Lebanon. With their conflicting interests and support bases, it is likely cooperation between Hariri and Aoun will be mired by government infighting and stalemates. Finally electing a president may be a step towards stability, but the state remains vulnerable to instability caused internally, by sectarian divides and popular dissatisfaction with ruling parties, and externally, by other states in the region.